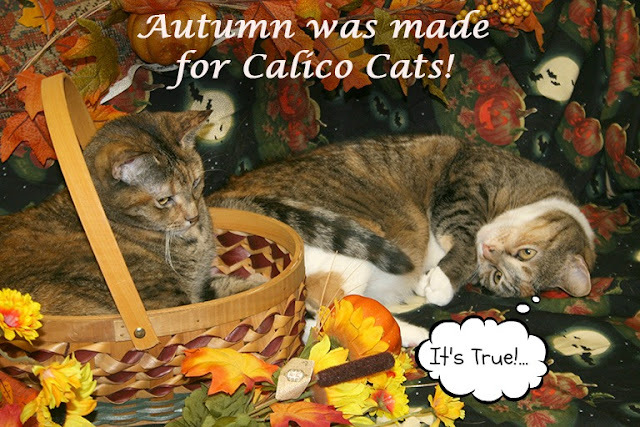 Peaches and Paprika: Autumn was made for Calico Cats! You two sure do like autumn kitty kats.. Our Gertrude is too. That is a great picture. You all have a super Saturday. So lovely and so very true! Wow, you are so very pretty! We all love the gorgeous Autumn colors. Great pix! you are exactly right!! Autumn WAS made for calico cats! ThankU for your validation and agreement!!!! !